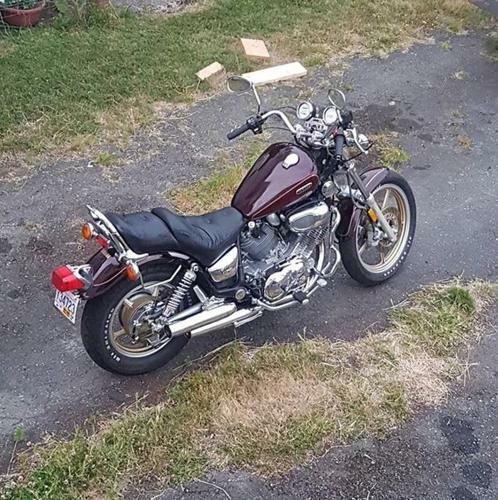 just had the carbs professionally rebuilt, good tires, comes with some extra parts, a carb syncher, some saddlebags, Haynes manual, body in great condition, seat looks brand new. It's spitting out blue/white smoke. Either caused by valve seals that dried out or maybe a gasket. I don't have the time to pull it apart, need to sell it to pay for school. Has potential, but only to someone who wants to do the work. Could be profitable if it was parted out. I will be in town from dec 17 to the 30th and this is the only time i will be in town, if it doesn't sell, I'll be hauling it back home to castlegar.